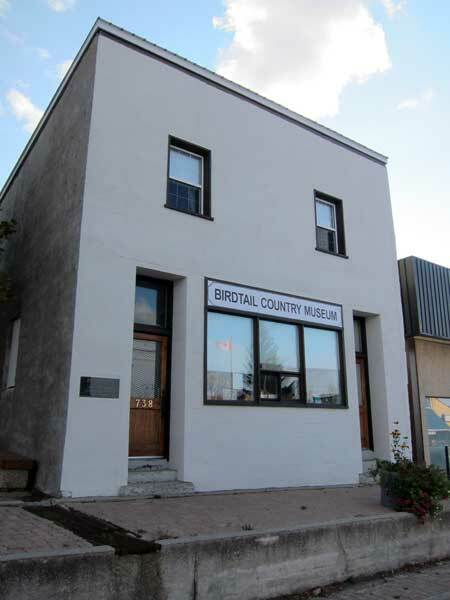 This building in Birtle, in the Municipality of Prairie View, now a community museum, began life as a branch of the Union Bank of Canada. Taken over by the Royal Bank of Canada in 1925, it served the financial needs of the community until 1969. It is now a municipally-designated historic site. Birtle Union Bank Building, 738 Main Street, Birtle, Manitoba Historic Resources Branch.